Recently, nine governmental departments including Ministry of Commerce and National Development and Reform Commission have jointly approved a document to agree <?xml:namespace prefix = "st1" ns = "urn:schemas-microsoft-com:office:smarttags" />Haining, Zhejiang to carry out the market procurement trade mode pilot. ABP Southern Yangtze, located at Jianshan New District, Haining, was Included into one of its important pilots and enjoys correspondingly implemented new national and provincial policies of trade reforms and supporting incentive and supportive political measures of the local government. 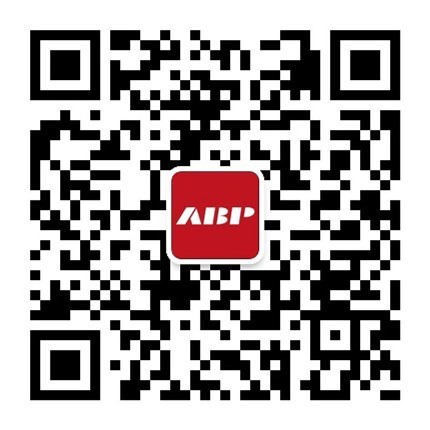 This has injected new vitality to the construction, development and investment operation of ABP Southern Yangtze. Lin Yi, the Party Secretary of Haining City, said that under the economic new normal, it was of great significance to carry out the national reform of the market procurement trade mode pilot, which will play a positive role in promoting foreign trade exports, expanding international markets, promoting economic growth and advancing industrial structures and will even provide impetuses for the internationalized process of Haining and bring great opportunities to the transformation and upgrading and internationalized development of local markets, industries and massive foreign trade business entities. Since it was started to be built in 2014, ABP Southern Yangtze has always committed to develop into a largest cluster area of headquarters enterprises in the core district of Hangzhou Bay, which has important strategic and practical significance on improving the industrial layout of the city and promoting regional economic development. In addition, ABP Southern Yangtze has recently launched a brand new concept of “Jiangnan NEW TOWN”, aiming at developing itself into a special, independent and balanced town appropriate for living, working, starting a business and traveling in a more open and creative pattern. The three-dimensional transportation network of sea, land and air of ABP Southern Yangtze, taking “Jiangnan NEW TOWN” as the center, covers all directions and can radiate to Shanghai, Hangzhou, Ningbo, Suzhou, Wuxi, Shaoxing, Jiaxing, Huzhou and other main cities within 50 kilometers and has an extreme advantage in the traffic location. At this time, ABP Southern Yangtze enjoys the policy of “Haining Market Procurement Trade Mode Pilot” and will certainly more fully reveal its charms combined with the unique geographical superiority and the new concept of “Jiangnan NEW TOWN”. Cooperate with this great project and achieve mutual benefits and win-win results. Enterprises entering ABP Southern Yangtze enjoy the pilot preference of “market procurement”, mainly including: 1. The trading mode of small lots, multiple batches and no invoices is tailored to foreign trade exports of operators’ own brands in professional markets; 2. Going through customs clearance formalities in the procurement area is highly efficient, convenient, quick and low-cost; 3. The “exemption from conscription and reimbursement” of value-added tax has greatly reduced occupied funds of enterprises and improved the efficiency of capitals; 4. The individual export foreign exchange settlement is allowed to break the stereotype that “whoever exporting should collect foreign exchanges” to effectively avoid exchange risks and reduce currency conversion costs. The market procurement trade mode refers to purchase commodities in designated market cluster areas and go through customs clearance formalities in the procurement area by eligible operators, created for foreign trades of “multiple types, multiple batches and small lots” in professional markets, featured by “fast customs clearance, convenience, controllability and exemption from value-added”. This kind of trade mode adopts the policy of exempting conscription and reimbursement of export value-added tax and other local taxes for eligible operators and export trades with value of exports no more than 150, 000 dollars each time. Trading companies or enterprises enjoying this preference and awards must go through the declaration of “Market Procurement Trade Network Platform” and their goods must go through customs clearance and inspections in Haining Bay. The customs special supervision code is 1039. It is learned that only three places in China have carried out the market procurement trade mode pilot. Yiwu in Zhejiang is the first place to pilot the market procurement trade mode in China. When the city carried out the market procurement trade mode in 2012, its value of exports reached 9 billion dollars in that year, with an increase of 150% compared with the previous year. The growth rate of foreign trades was “explosive”.